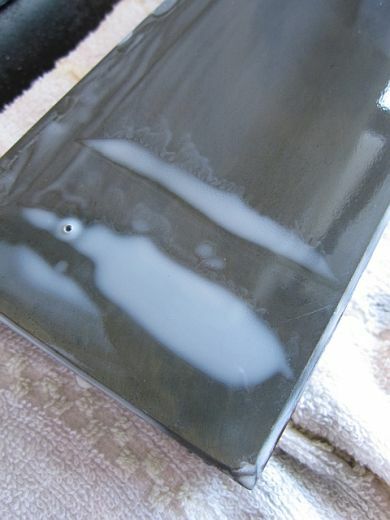 Japanese natural hones (天然砥石-tennen toishi) are widely considered among the world’s best stones to sharpen a wide variety of tools—including, naturally, straight razors. The stones found near Kyoto, especially, have been prized for their exceptional honing effects for hundreds of years. There are a large number of hone mines around Kyoto, all of them producing great stones, but in terms of price and quality the stones are divided into two large groups, “Eastern Things” (東物-Higashi Mono) and “Western Things” (西物-Nishimono), with the Eastern stones being the more expensive, and more highly regarded. These stones include the Nakayama, Oozuku, Narutaki, Shoubudani and Okudo. Nakayama, of course, is the most famous and highly regarded, but for our purposes (honing razors) Oozuku is also very good, and in fact any of the eastern stones should be sufficient. However, when selecting a stone, it can be kind of difficult to know what to buy—there is a bewildering variety of stones available, and it is very hard to know the differences between them. Basically, for straight razors, you are looking for 2 things: a hard stone, and a fine one. 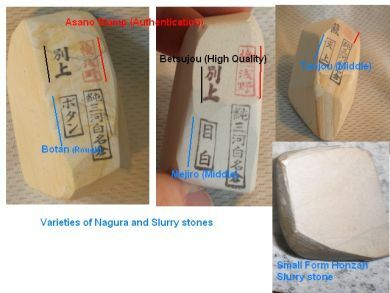 MOST stones will be fine; all of the Eastern Things are considered “finishing” stones, meaning very fine, and frankly the variation between types (kiita, asagi, whatever) will be no greater than the differences between individual stones…meaning, don’t worry so much about the name, worry about the stone itself. Additionally, hardness is mostly an individual trait, but often kiita stones will be softer than Asagi stones, so that may help. However, the only real way to tell how a stone is going to work for your purposes is to try it out. Really. There is no other way. Japanese finishing hones are often used as just that, a finishing hone. 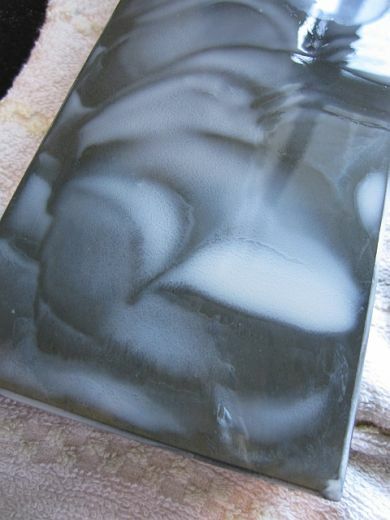 Meaning, they give a final polish to a razor at the end of a progression of coarse to fine stones. However, in studying Japanese sources, and in taking honing lessons from my Barber (a man who has been using Japanese waterstones to hone razors for nearly 40 years. Hones which, by the way, he has given me to use myself) not once has there been mention of using any coarser stone to hone a razor, neither a Japanese “Kamisori” nor a Western-style straight razor. Instead, all honing is done on one hone, the Honzan （本山） using a progression of slurries. Thus, having the proper selection of Nagura and slurry stones is essentially as important as the honzan itself. Nagura are small, whitish/striped stones with a soft, chalky texture, sourced from a mountain near Mikawa city, in Aichi prefecture Japan. They are divided into a wide number of qualities, but for razors we are only concerned with 4 types: Botan, Tenjou, Mejiro and Koma. Koma, it's ok to skip it but having it makes the transition smoother. This is a small piece of a finishing hone, like the main hone above. It should be of roughly the same hardness as your main stone. When he gave me his hones, my barber told me that the most important part was this stone…and after several months, I am finally understanding what he meant. A microscope can help with examination of the bevel/edge, but it certainly isn't necessary. How to use your hone. There are two basic steps to honing on Japanese hones. The initial sharpening, done with rough slurry, and the final honing/polishing, done on Honzan slurry. First, let's talk about the initial sharpening. This is done with a razor that won't shave. It pulls or won't cut hair, but it might "feel" sharp. This is NOT setting a bevel, as you might do when repairing a damaged razor. That work is best left to a rough stone like a DMT 1200 or even lower. The honing done here CAN be done after setting that bevel, though. Get your Honzan hone, your NAGURA, and lots of water. Using this slurry, hone your razor. Use whatever patterns (X, V, Figure 8, whatever) you are comfortable with, and use only the pressure necessary to keep the razor flat on the hone. Continue to hone until the entire bevel is evenly colored white. The slurry on these hones causes a "speckled" white haze. The bevel should be EVEN along it's entire length, there should be no patches of shine or sparkle. Also, the edge should start to feel sticky and should be able to shave arm hair with some pressure. Wash your razor, hands and hone thoroughly, to remove any trace of the Botan slurry. razor, and as the middle slurry is finer than the Botan, you are going to polish out the coarse marks of the Botan. Hone until your edge feels EVENLY sharper along its edge, and it should be able to shave arm hair fairly easily. The haze on the bevel will also darken, it won't be as white as the Botan because of the finer scratches. Again, the color should be even along the whole bevel, with no patches of difference. Be prepared to refresh the slurry a few times until you are satisfied with the results. If you have a Koma, repeat the above process with it. Otherwise, move on to (6). ultimate finish on your razor, and you don't want any stray heavy particles ruining it. We are now FINISHED with the initial sharpening step. The next step is the final hone/polish. It is also the beginning step for a "touch-up" hone, for when your razor is feeling a little tuggy. take much longer than with the nagura, as the honzan is a much harder stone. When you have raised the slurry, you are ready to hone. Honing the razor on honzan slurry is different from the nagura. As you hone, the particles from the honzan will start to break down and get finer and finer. This process is what gives the final, super smooth edge you want, but before that you have to polish out the scratches from the nagura. In order to do this, you will have to balance the honing power of the initial slurry until it is time to finish the polish. honing, without letting the particles get too small and start polishing prematurely. the whitish nagura haze and takes on a shiny, cloudy polish. The razor should start popping hairs above the skin. It may take several rounds of refreshing the slurry to achieve this (figure at least 3, and maybe more, depending on the hardness of the steel and the qualities of your stone). When the razor has taken an even, shiny hazy finish along the entire length of the bevel, and feels evenly sticky along the entire edge, STOP refreshing the slurry. Continue honing until the slurry breaks down completely, and becomes a thin, sticky film on the hone. At this point, you might want to add a drop of water or two to keep polishing. reasonable. Experience is really the only thing that can guide you here.